Today was a very long haul, with a somewhat unplanned detour. 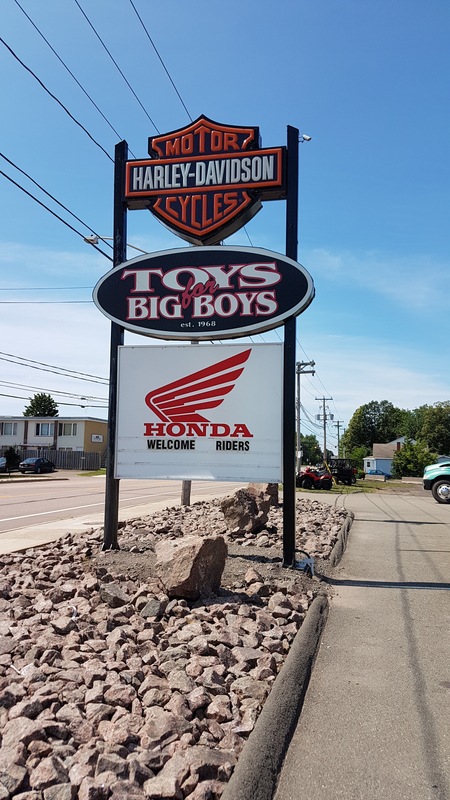 The Harley was very clearly spitting oil out the right side so on our way to Edmunstun, we headed into Moncton to visit Toys for Big Boys Harley-Davidson. Apparently the bike had too much oil in it and the motor slowly spits the excesss out the air filter. Also apparently if the air filter becomes sufficiently saturated with oil, it creates a vacuum condition that just keeps sucking more oil out of the motor. All of this sounds completely bonkers. Anyway, the service tech at Toys for Big Boys was great, and got the Harley squared away in short order. The name “Toys for Big Boys” is pretty lame though. 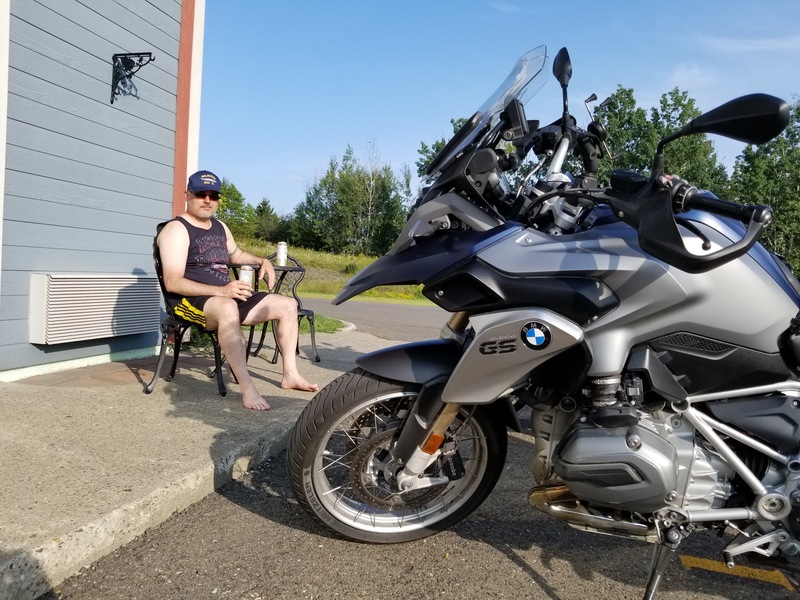 An extra long ride always calls for beer and sunshine. Days Inn Edmundston.